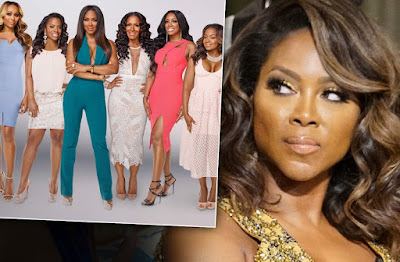 iRealHousewives | The 411 On American + International Real Housewives: Kenya Moore’s RHOA Co-Stars Reportedly Accusing Her Of Faking Marriage! According to a new report, Kenya Moore is on the outs with her Real Housewives of Atlanta co-stars — and apparently it has to do with her secret wedding with husband Marc Daly. “The RHOA cast believes Kenya’s wedding to Marc Daly is illegitimate,” an insider told Radar Online. As previously reported, Moore tied the knot with restauranteur Daly in St. Lucia getaway this June. The cameras were not rolling at the time — and none of her cast mates were there to witness their vows. Meanwhile, Cynthia Bailey shared a photo yesterday of herself hanging out with Leakes and Moore, which they looked like they were having a good time, all in smiles. See below!